After years managing computers at organizations with modest needs, and also for an education industry behemoth with more than 32,000 employees worldwide, Joey realized what was missing – confidence in the IT experts and technology. Managers and employees just couldn’t count on their tools when they needed them to succeed in their business goals. As a former active duty military policeman (MP) in the U.S. Army National Guard, Joey was trained to ensure that the people he protected succeeded at their missions. Security, threat identification and prevention, and uncompromising mission enablement were engrained in his character. He knew business owners required a better solution, and in September of 2010, Joey Sawyer founded I.T. 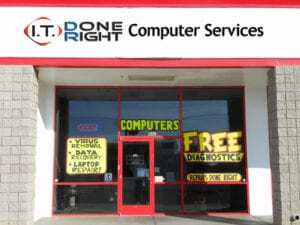 Done Right LLC in Mesa, Arizona as a small computer repair and service shop. The single goal was to provide reliable, fast, and accurate IT support from real experts with years of hands-on experience and deep technology understanding. For the next three years business grew steadily as customers graciously referred Joey and his small crew to family, friends, and other business owners. I.T. Done Right routinely exceeded customer expectations by doing whatever it took to make sure their technology tools were always available. This garnered the attention of the larger East Valley business community and created a turning point for the company. In late 2013, Joey was approached by one of his existing vendors and presented with an opportunity to grow much faster. I.T. Done Right would be acquired by a telecommunications company that had been serving Arizona for 25-years with offices in Phoenix, Tucson, and Flagstaff. Joey would spearhead a new division focused on I.T. Done Right’s core belief system with the intention of expanding rapidly into the statewide business community. I.T. Done Right as a small storefront business effectively ceased operating at the end of 2013, and all customers were migrated to the new company. By 2016 it became clear that the resources required to build an organization defined by the I.T. 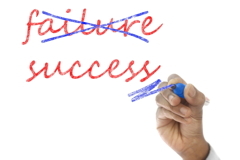 Done Right core belief in uncompromising quality, knowledgeable staff, and a ceaseless commitment to a customer’s success were not within the operating culture at the new company. After exhausting all efforts to help the company innovate and change with the times, Joey resigned, leaving in February of that year. In the Spring of 2017, a social media post presented an opportunity for two old business colleagues to reconnect. Joey and Mike had worked for the same global education company 11-years prior and had maintained a social friendship after Joey’s departure. Mike Acton is a computer industry veteran and serial entrepreneur having built several successful technology companies. As a technologist, his experience spans from the mid-1970s to present in both software and hardware development, focused squarely on how businesses make money using the technology. Creating a new business built upon their shared vision and complementary skills became obvious during the first lunch meeting over fish tacos. With a handshake, the partners immediately began building a new corporation focused solely on business-to-business relationships. Both partners firmly believe in the old I.T. Done Right core belief system – to provide consistent, bullet-proof, IT solutions that immediately add value to the customer, while delivering the highest level of customer service from real hands-on technology experts. But they needed a new name for the business. Or did they? It is our pleasure to introduce the new I.T. Done Right. If you share these core beliefs and want to actually trust that your IT guy is looking out for your best interest, you’ve come to the right team. I.T. Done Right provides that next level of forward thinking because business people still require confidence in their IT experts and the technologies they use to make money. Peace-of-mind is just a phone call away.